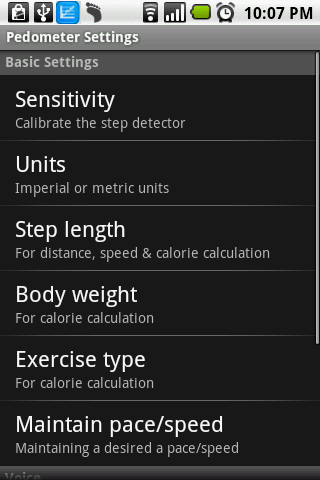 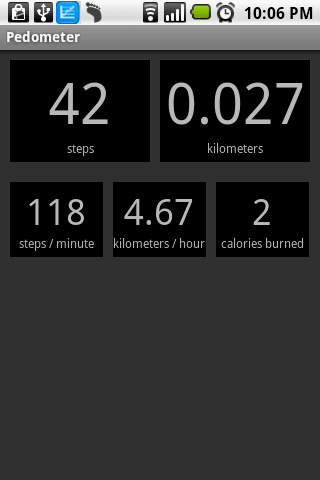 Pedometer is an Android application that counts your steps by using the sensors in the phone. 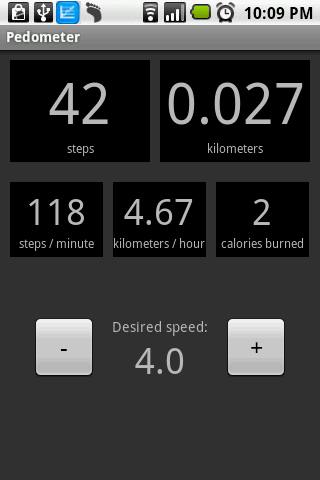 It calculates the pace (steps per minute), and can help you maintain a desired pace by speaking to you. 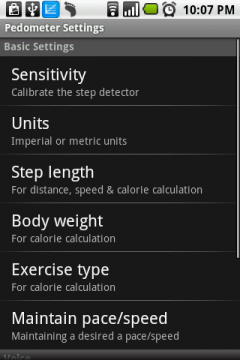 It will ask you to install the Text-to-Speech library if you enable this option. 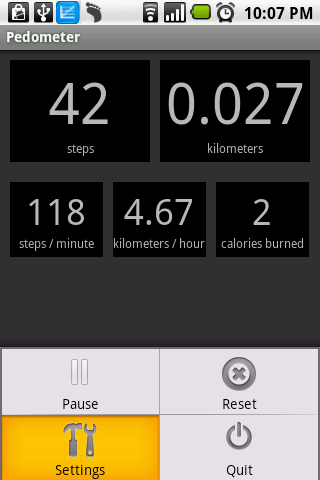 It runs as a service, so it keeps counting when the display is off.